How do you condense 50 years of alternate history into two short minutes? This was the question recently on the mind of London-based creative agency Fire Without Smoke. The team was approached by video game publisher Deep Silver to create an epic opening cinematic for first-person shooter Homefront: The Revolution. How exactly do you narrate a tale five decades in the making in an infinitesimal fraction of that time? The answer: you’re gonna need a montage. In Homefront: The Revolution’s alternate history timeline, North Korea has successfully invaded the Unites States, turning North America into a dystopian nightmare where oppressed US citizens band together to fight back against the regime. Fire Without Smoke used the game’s two-minute opening cinematic to reveal the 50 years that led the American people to this point, all told via a series of tableaus that brim with gorgeous spectacle. The montage was achieved via a blend of live action, CG and matte painting, fusing the virtual and the physical for a remarkable final piece. And, impressively, it was achieved by Fire Without Smoke’s core team of just four, who worked on a modest budget and on a timeline that left no room for twiddling thumbs. In eight short months, co-director Hugo Guerra, co-director Will O’Connor, executive creative director Will Cole, and 3D creative director Juan Brockhaus – with occasional support from individual specialists – shaped almost everything you see in the final cinematic. It’s a stunning achievement, and one that wouldn’t have been possible without the latest in technology powering each of the impressive visuals – including the biased, GPU-based renderer, Redshift. In order to ensure each of the cinematic’s diverse elements came together without a hitch, Guerra and Brockhaus ensure and open, collaborative approach throughout the project – starting right at its very inception. “We worked directly with the game’s developer Dambuster and had a lot of involvement with the publisher Deep Silver,” begins Guerra. “We worked with them from very early on in the project, starting over two years ago! We played a very early build of the game and read the scripts that were available, even before the voice work had been recorded. From there a back-and-forth of ideas commenced, as Guerra, Brockhaus and the game’s own development team worked as one to introduce Homefront: The Revolution‘s distinct setting and tone. This close and creative collaboration certainly resulted in an impressive piece of work. The real and virtual elements in the cinematic boast incredible detail, whether that’s in the glittering confetti that falls during the ‘Apex’ launch in Pyongyang, or the absolute destruction that has befallen 2027’s central Philadelphia. The shots themselves present epic, mesmerizing, ultra-wide vistas, openly inspired by filmmaker Stanley Kubrick’s mastery of the one-point perspective technique. The camera movements in Homefront’s opening sequence aren’t complicated, but are nevertheless meticulously constructed. As the narrative chronology pushes forwards, each shot slowly and gracefully pulls back, revealing the mise en scène of the carefully established dioramas. Previz was required to ensure these camera movements occurred at just the right speed and presented the content within the frame in the most effective way possible. In order to achieve this, Fire Without Smoke collaborated with Swedish outfit Stiller Studios. 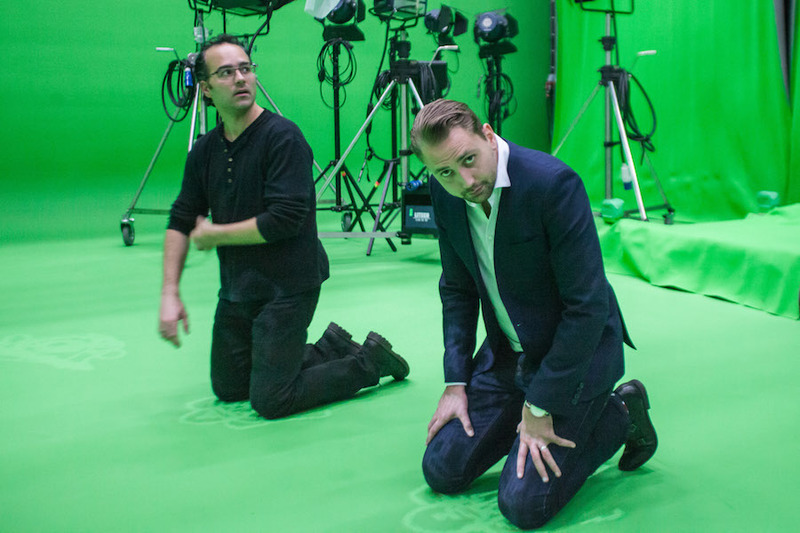 Stiller’s physical studio space has been specifically designed for VFX projects, and offers a range of virtual production tools that are incredibly beneficial to a project such as the Homefront opening cinematic. For instance, Fire Without Smoke could place a virtual version of Stiller’s physical cameras into a scene, ensuring that any camera movements would portray each shot realistically and with all the necessary gravitas. Furthermore, Fire Without Smoke was provided a replica 1:1 virtual version of the Stiller set, enabling the team to block shots and define exactly where the actors would stand ahead of time. Also, thanks to the use of Stiller’s motion-controlled cameras, Fire Without Smoke had the data to replicate any camera move if reshoots were required – which they were. One pivotal scene required tinkering four months after the original shoot. With the camera motion saved, Guerra and team could jump back in and quickly recreate the shot. Once the motion controlled camera shoot, the asset preparation, the compositing and more were complete, there came the matter of selecting the right renderer. “I’m the kind of guy that wakes up in the morning thinking about rendering, so it was a legitimately exciting part of the project for me!” says Brockhaus. Fire Without Smoke needed a renderer that would support a small team working with both live action and CG on a limited budget and timeframe – not to mention often working remotely. Brockhaus knew he had to think carefully about the rendering solution of choice. Brockhaus later bought a secondary card – a GTX 980 Ti. 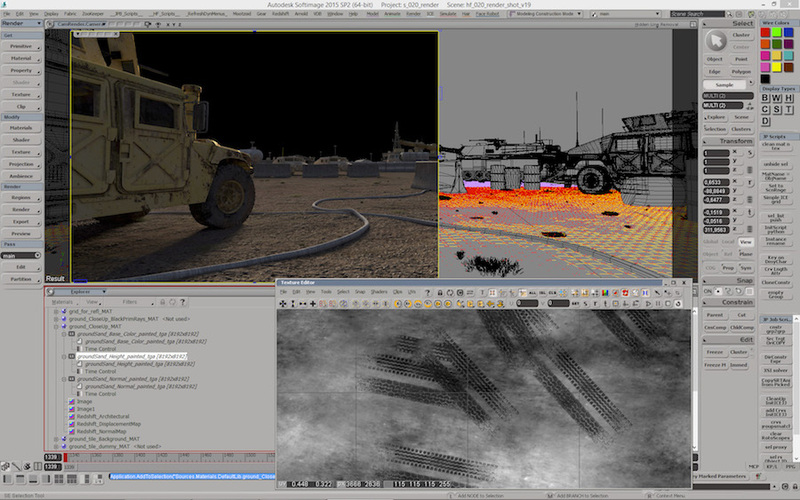 This boost in power allowed 85 per cent of the Homefront project to be rendered at 2.5k resolution through his own workstation, with rendering times maxing out at 2.5 minutes per frame – and that with global illumination, depth of field, motion blur, displacements and reflections all placing demands on the GPU. Using Redshift, Fire Without Smoke was able to put the final touches on the Homefront: The Revolution project, bringing together a diverse array of matte paintings, CG, live action elements and more into one beautiful, visual story.